It's been a long time coming, but Owly (aka Shower Owl) returns today with a whole heap of surprises under his wings. First establishing his name in the grime scene in 2006, Owly was regularly found rubbing feathers on the frontline of video shoots, record shops (R.I.P Uptown Records, Rhythm Division) and club nights across the UK. 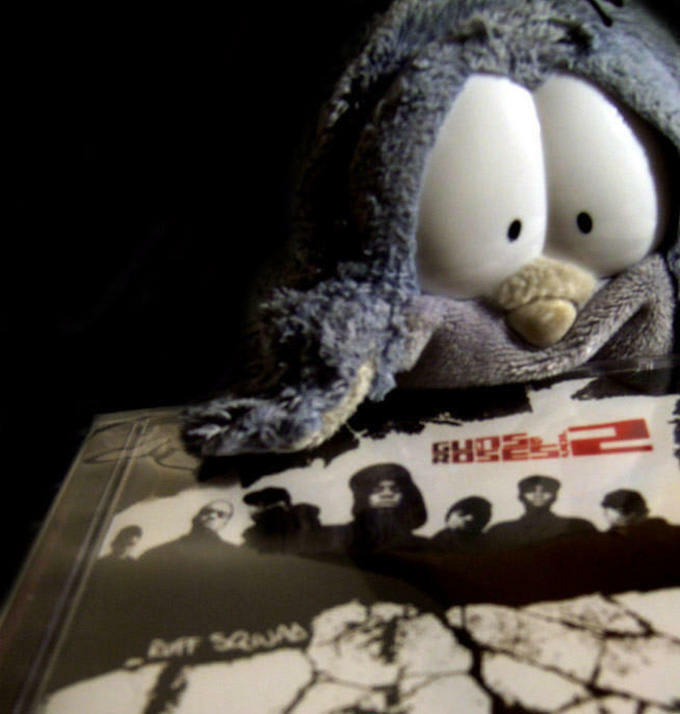 Ever since hearing D Double E's menacing classic, 2003's "Birds In The Sky", Owly felt a personal connection with the lyrics, which led him to form a deep-rooted love for the sound. And it wasn't long before he was moshing out at legendary club nights like ​Straight Outta Bethnal, Dirty Canvas and Sidewinder, ​before eventually putting on his own night, Pigeon Face, in 2010. Shower Owl has been in hibernation for quite some time (following that scandalous Skinnyman incident), but he's about ready to reclaim his rightful place as the top bird in the game. With Kanye and Drake digging through the scene's archives recently, ​and everyone and their nan writing tiresome long-reads of what this might mean for grime, Owly bopped through the Complex office with a few nostalgic Kodak moments to remind us all that, really, it's not that deep.